Whether you have been in a road traffic accident or suffered a painful fall or trip, you may be looking for a reliable physiotherapist in Mobberley to help treat you injuries. 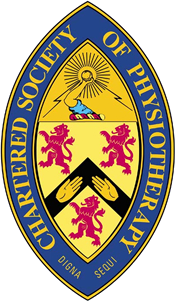 Physio Wellbeing have a team of highly trained physiotherapists who are experts in treating injuries and helping people recover from their accident and getting them back to full strength. Physio Wellbeing also specialises in treating sports related injuries. We understand that no athlete wants to be sat out of their sport nursing an injury for long periods of time. Our team of physiotherapists will help to treat your injury and get you back training again as soon as possible. Based in Mobberley, Cheshire, Physio Wellbeing doesn’t just concentrate their services on injuries. If you have an elderly relative who struggles with musculoskeletal pain which restricts their movements and mobility then we can help. Painful muscles and joints can be debilitating for the elderly and prevent them from leading normal active lifestyles. Our team of physiotherapists are trained to the highest standards and can help restore pain free movement and increased mobility in the elderly. We pride ourselves on offering first rate, quality service at very reasonable prices. We understand that when you are in pain it can have a huge impact on your everyday life and that any treatment you have will need be as effective as possible as quickly as possible. We also understand that no two injuries are the same. We offer all our clients a thorough assessment before any treatment is given. This allows us to properly understand your injury or pain and offer a treatment plan with is specific and unique to you. Give us a call on the number provided to speak to one of our team. Alternatively, fill out the contact form below with your details and one of our physiotherapists will get in touch with you.